Organize your child’s small toys with this nifty toy hammock. 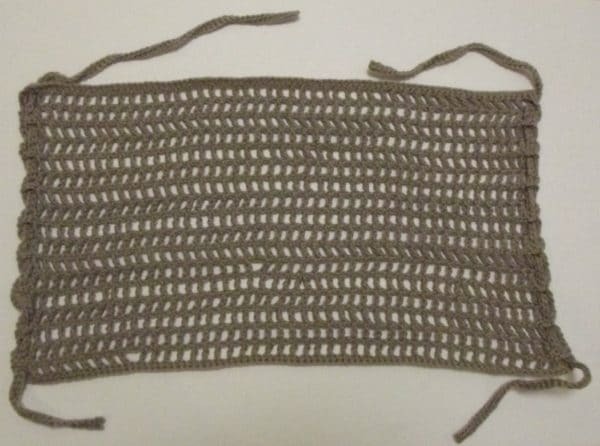 It works up quick and easy and makes for a great stashbuster pattern. As you can see, I tied mine to the end of the Pack ‘n Play, but it’ll work just as well under a shelf, in a corner or anywhere else you like. It’s a great way to teach your child to keep his/her toys organized. 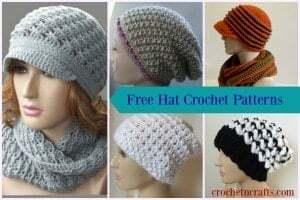 And in a simple multiple of two, you can crochet this to any length that you need. Gauge: 3″ over 13 sts and 4 rows. Finished Size: 21″ by 13″, but it will stretch once you put the toys in. Rows 4-18: Rep row 3. Row 19: Ch 1, sc in first st and into each st and ch across. [89 sts] Fasten Off. Ch 120, sc in 2nd ch from hook and into each ch across. Fasten Off. Weave the strings in through the ch-1 sps at the sides as pictured. 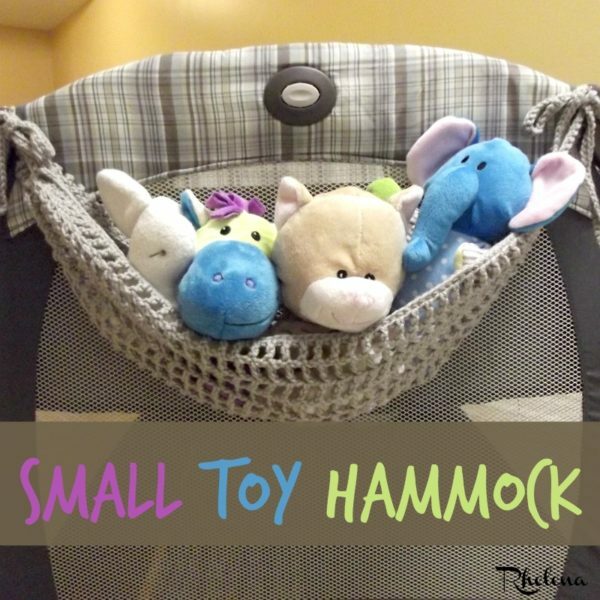 Scrunch the ends up to create a hammock and tie to the Pack ‘n Play, a shelf or anywhere else you see fit. Can you spot my boo-boos? I made at least 4 of them.